Each January the most dedicated, adventurous hunters in the world descend on the Safari Club International show, and along with them the world’s wealthiest hunters, conservationists and collectors of fine wildlife art. 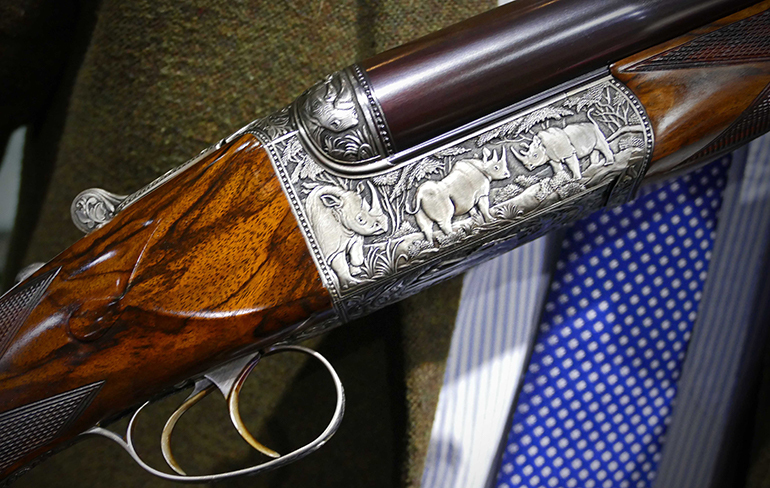 Catering to the latter, legendary firearm companies such as England’s Rigby, Holland & Holland and Purdey gather as well to showcase the incredibly artistic hunting tools they create. I found one unique piece that not only set a world record for being the most powerful hunting rifle ever built, but it’s replacement value is over one million dollars. On the far end of the spectrum, an Italian company is building shotguns as impressive—at a glance—as the fine British houses for a third of the cost. And from my home turf in Utah, one of the U.S.’s greatest gunsmiths—Joe Smithson—has created what may be the ultimate PH’s magazine rifle. Here are shooting works of art that Da Vinci would envy. 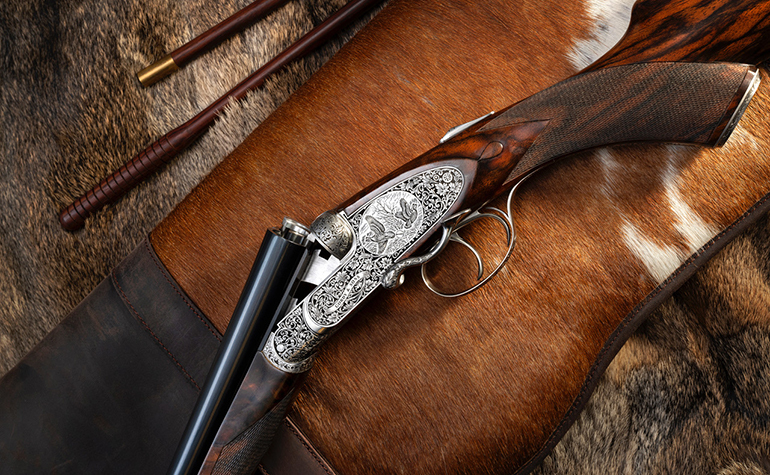 Enjoy the perfection of the gunmakers’ art, and don’t get your knickers in a twist over the fact that many of these cost as much as a good house. You’ll never find a more splendid O/U than this Boss. I’m a rabid fan of side-by-side doubles, but if ever a stacked double gun were to convert me, this would be it. 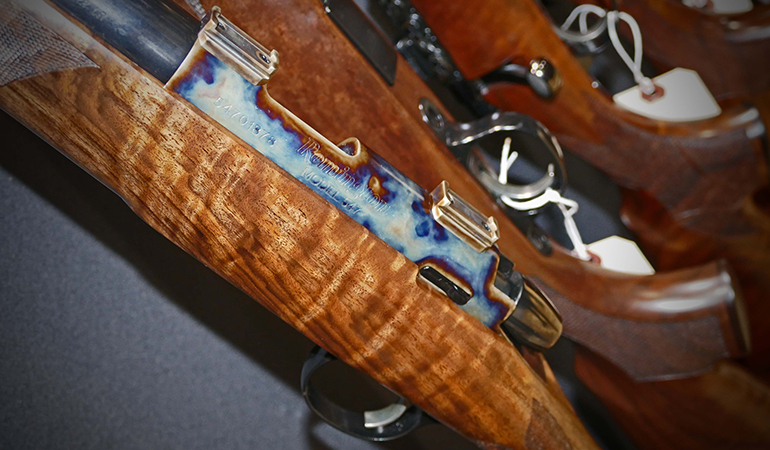 Superbly fine full-coverage engraving, vivid case colors, and outstanding wood all speak of the perfection in this gun. Value is over $100,000. In a quiet corner of South Dakota, a select group of fine gunsmiths build what are arguably the finest semi-production dangerous game rifles made in America. Bare-bones models start at around $4,500 and are worth every red cent. This .416 Rigby takedown Model 76 Traveller is a top-tier version, tipping the gold scale at $15,000. 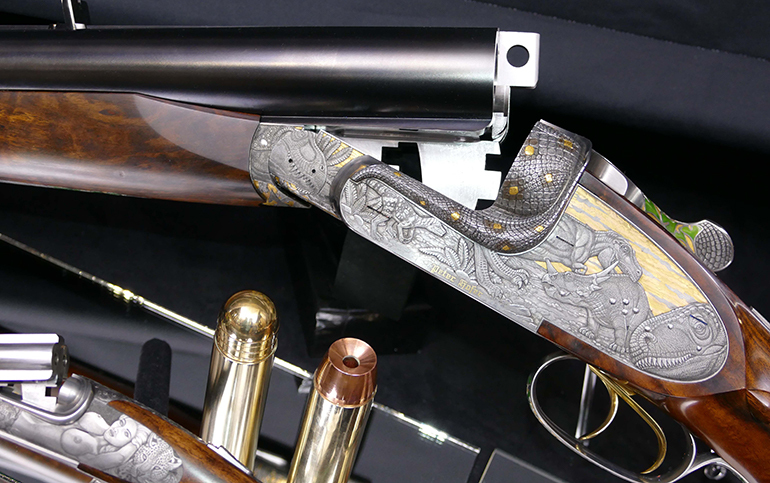 Discerning sportsmen with means can order a two-barreled set, pairing a .300 H&H barrel with a .458 Lott, for example. 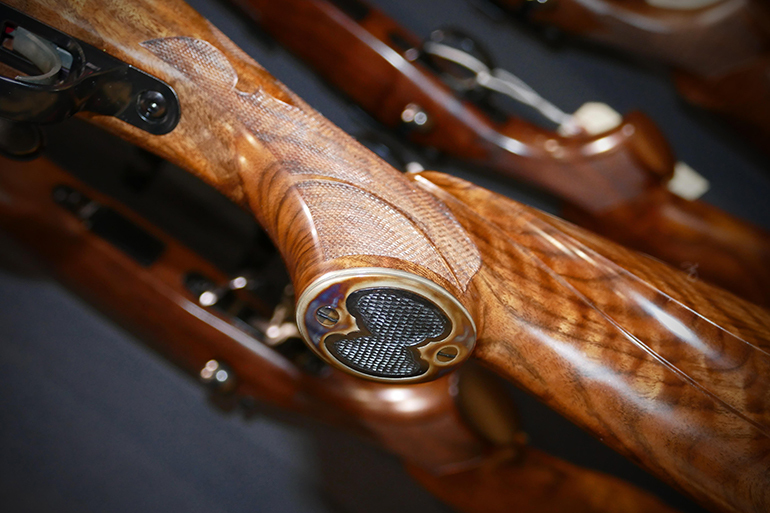 These fine guns are built in a partnership with legendary Italian gunmaker Rizzini. 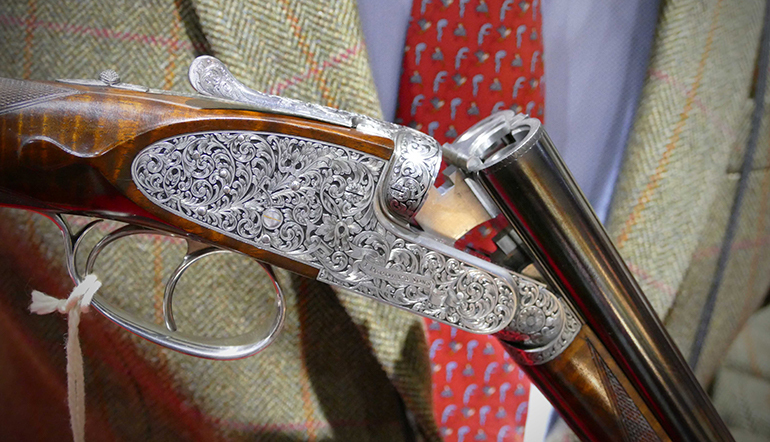 According to Gordy & Sons’ Mike Burnett, “My idea was to create what looked like a $100,000 gun, for under $30,000…still bespoke with beautiful hand engravings.” They did better than that: Starting price is $16,000. Bore size, stacked or double barrels in a choice of length, single or double triggers, and wood quality and engraving grade are all up to the customer. This storied, ancient company is legendary for many reasons, not least among them for having built the .275 Rigby (7x57 Mauser) rifle that Jim Corbett used to kill a whole slew of maneating tigers and leopards in India. 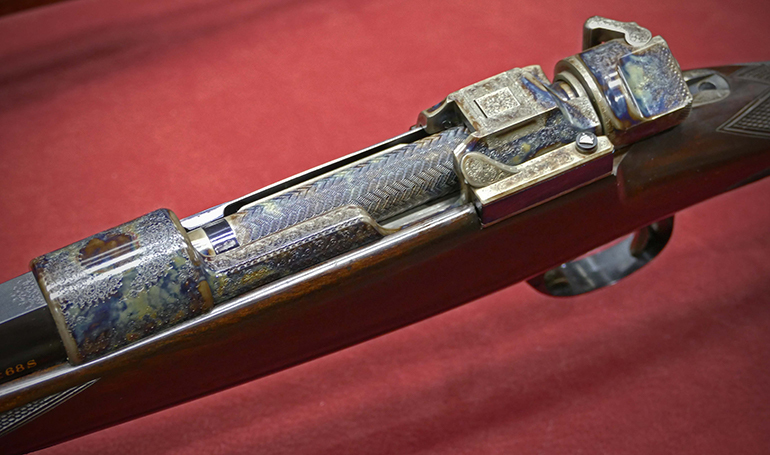 Today, the company carries on the tradition, including offering a Mauser-based “Highland Stalker” patterned on Corbett’s rifle. 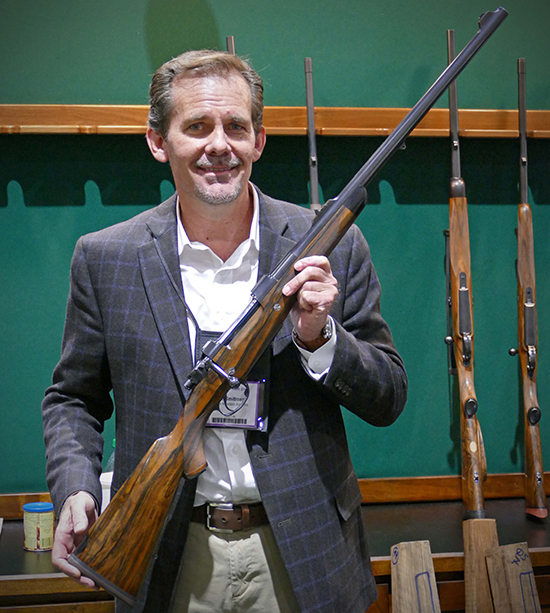 Recent big news is the return of the Rising Bite side-by-side shotgun, which was unveiled at the 2019 SCI show. There simply is no better gun. 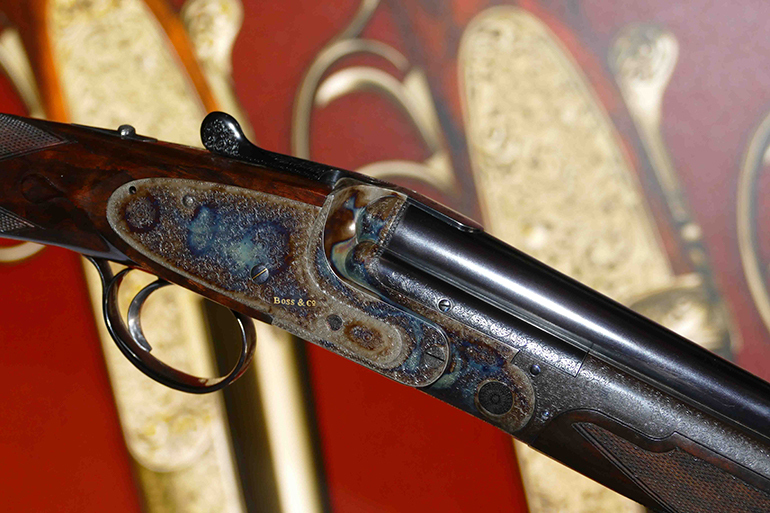 Arguably the best known and most versatile of all the British greats, Holland & Holland has been manufacturing fine shotguns and rifles for 184 years. 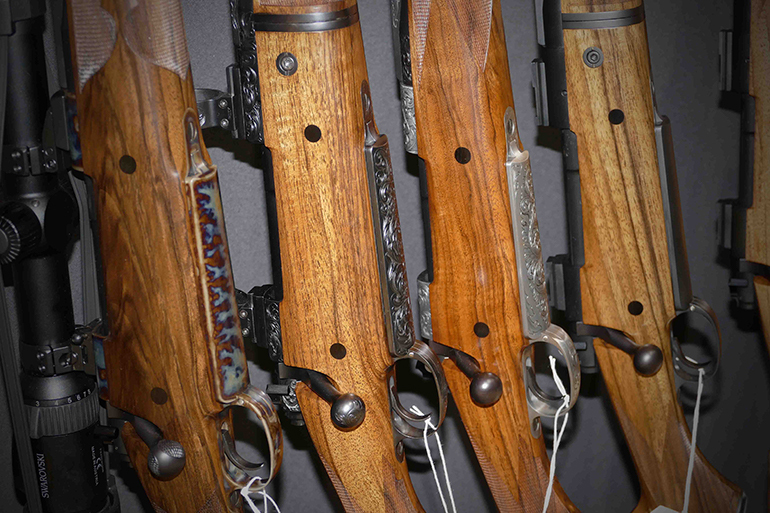 Most legendary are the company’s side-by-side guns and rifles. This new .500 Nitro Express is the epitome of dangerous-game perfection: chambered in a cartridge with genuine stopping power, built to robust perfection, and embellished with wood, metalwork and engraving that can only be called art. Value: $103,000. Wandering among small, boutique booths I was brought to a halt by a superbly engraved “Long Range Hunting” rifle. Beautifully made, fit with shockingly good wood and engraved to dramatic perfection, it was a far cry from the carbon fiber and stainless steel guns we Americans built for shooting far. Chambered in 8x86mm, it’s one of the finest built-for-accuracy hunting rifles I’ve seen. A family business, Max Ern produces top-shelf work in Germany. Value: high and depends on grade of embellishment. Nothing like this has been built before or since. Intended to set the world record as the most powerful rifle ever — which it did — the gun was conceived by master gunsmith Peter Hofer as a “dinosaur rifle.” Recoil of full-power ammo is so massive that the human frame cannot tolerate it—unless under attack by a T-Rex. Reduced loads make shooting it from the shoulder possible. 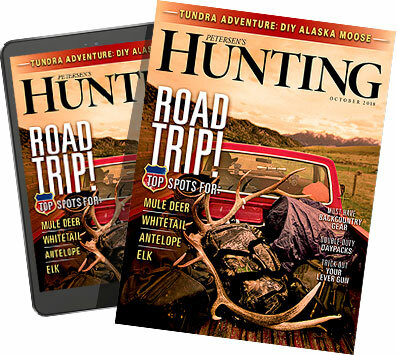 Full-coverage engraving of prehistoric dangerous game covers the metal surfaces, and the wood is out of this world. Replacement value: over 1 million. In a corner of Utah Valley, Joe Smithson creates fine bolt-action hunting rifles one by one, by hand with his son and partner Brett. While engraving and other embellishments are available, the perfection in these guns goes right to the core of every rifle, which is fit, tuned and finished inside and out with sterling workmanship I’ve rarely seen elsewhere. Here Smithson holds one of his classic .416 Rigby safari rifles built on a Granite Mountain action. Behind him is a dark horse of a rifle he built for himself. It’s a sleek .458 Win. Mag. built on a 1909 Argentine Mauser action, and amongst rifle cognoscenti that make a living hunting massive clawed and tusked game, it stole the SCI show. It feels positively alive in the hands and pushes handloaded 500-grain bullets at 2,200 fps from its 22-inch barrel. Value: $14,000 and up. Purdeys are exclusive and rare in the finest meaning of the word. This 20-bore Superior Grade balances, shoulders and swings as if imbued with magic. As is expected of a gun carrying a ₤147,560 price tag (yes, that’s UK pounds. You do the math) metalwork, wood, fit and finish are all absolutely perfect. The price seems unreasonable until you hold it. Then you sigh slightly with content, accept and understand. 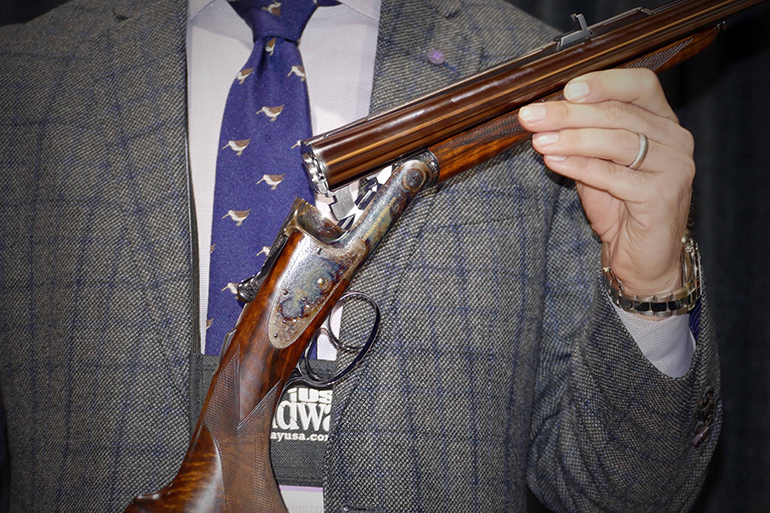 Over 200 years of gunmaking skill goes into a gun like this, and it shows. Historically, the wealthy opted for double-barreled rifles for dangerous game, and bolt-action “magazine” rifles were the realm of the practical and un-affluent. Eventually, the increased capacity and accuracy of the magazine rifle caught on, and if you think this superb .500 Jeffrey bolt action is anything less than a fine double, think again. 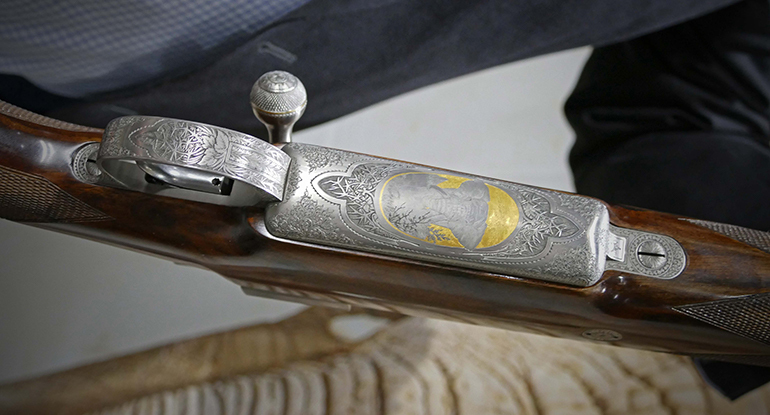 Built on a massive Mauser 98-type action, it features full-coverage engraving of big game scenes. Unfortunately, I neglected to get a value on this rifle, but since each is hand built to order and priced according to features and embellishments, it doesn’t really matter. I included this one because even though it doesn’t cost nearly as much as a new truck, it is the single most spectacular .22 rimfire I’ve ever handled. Built in Remington’s custom shop, it features fine wood, beautifully gunsmithing, excellent color case hardening, and a wonderful finish. Oddly enough, this is my single favorite company to follow on Instagram because of the splendid quality of the firearms and the photography itself they regularly post. Shotguns and rifles are both available; the unique double rifle shown here is a spectacular example of a .600 Nitro Express dangerous game rifle. Arguably the biggest of the “stopping” cartridges actually semi-tolerable by the human frame, it’s a freight train in a Rembrandt. Note the lovely relief “carving”—it’s properly not engraving because it’s raised—on the metal surfaces. Value: around $200,000.